To blatantly showcase the fact that I got a new iPod touch, I opted for the most outlandish (and best) color—pink. As you can see, the iPod touch 6th generation features the beauty (hah) to go along with the brains. I thoroughly enjoy the new pink colorway, as it makes the device stand out among the boring colors associated with the more serious Apple products. You’ll also notice that the device now lacks the retractable nub for the iPod touch loop strap found on the old 5th generation iPod touch. I think most of you will agree that this is an improvement. I don’t know anyone who thought the iPod touch loop was a great idea. From a visual design standpoint, everything else is pretty much identical to the 5th generation iPod touch. It still rocks the same 4″ screen of the iPod touch 5g, and it also has the same form factor and chamfered edges of the outgoing model. Apple has basically taken the power of the iPhone 6 and shoehorned it into the svelte body of a 5th generation iPod touch. It’s hard not to be at least a little bit disappointed that the size wasn’t bumped up to match the iPhone 6’s 4.7″ screen, but I’m sure that Apple has its reasonings for sticking with the same 4″ form factor of the outgoing model. Perhaps this means that we’ll see a return of the 4″ iPhone form-factor as some have speculated? The end result is a brand new device that feels familiar to the hands, but brand new to the senses. The sheer power increase brought upon by the presence of the A8 SoC is instantly noticeable, but it’s the RAM increase that is perhaps the biggest win for the 6th generation effort. 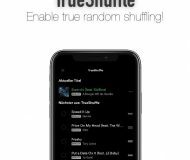 Not only is the new iPod touch significantly quicker at executing tasks, playing games, taking photos and videos, and playing media, it can also handle multitasking in a way that previous iterations of the device could only dream of. If there’s one word that I can use to associate with the purchase of an iPod touch 6th generation, it’s value. At $199 for the entry level model with 16GB of flash storage space, this device is a good value. As stated, I opted for the 16GB pink version of the iPod touch 6th-gen, but there are several other colors and storage capacities to select from. Here is a look at all of the available models. The iPod touch 6th-gen is available in the following colors: Silver, Gold, Space Gray, Blue, Pink, and Gold. The Silver, and Space Gray colors are the incumbent colors, with the Blue, Pink, and Gold colors being new to the lineup. There is one additional color—the Product Red version—that’s exclusively available through Apple. In my opinion, the sweet spot is definitely the 32GB model at $249. For only $50 more, you can double your storage capacity, which will come in handy if you plan on using your iPod touch to play games. Apple doesn’t even offer a 32GB storage tier for its current generation iPhones and iPads. Seeing that the iPod touch 6th gen is a big leap forward for iPods, I took the time to highlight some of the device’s specifications. Although this device has many improvements over its predecessor, I’ve bolded some of the more notable improvements. 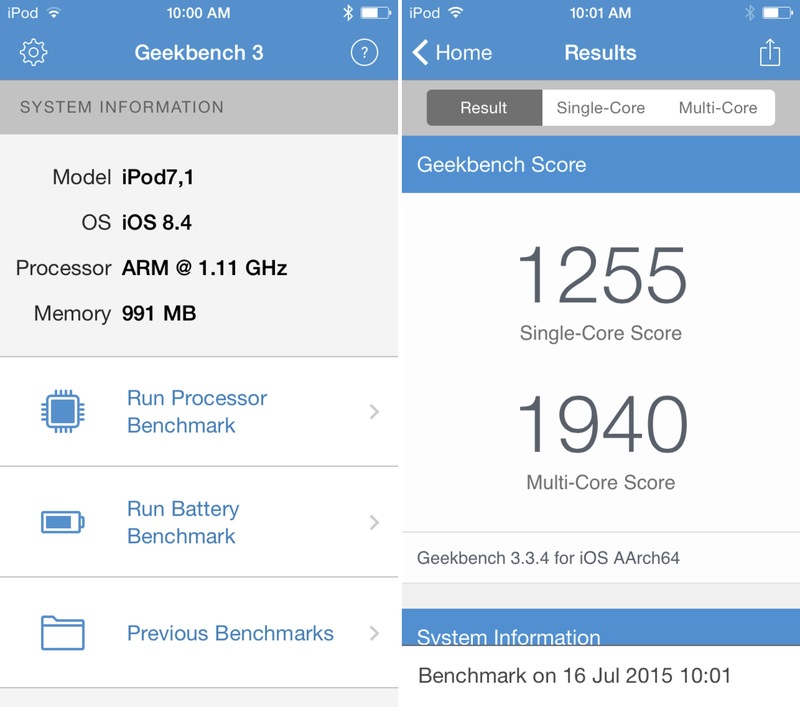 Although benchmarks prove that the new iPod touch is actually clocked slower than the iPhone 6 and iPhone 6 Plus, it’s still no slouch when it comes to speed. It features the A8 chip, and the same amount of RAM as the current-gen iPhone. The iSight camera is 8-megapixel, just like the iSight camera in the iPhone 6 and 6 Plus. Granted, the camera in the iPod touch isn’t quite as good as it is in the iPhone—pixels don’t tell the whole story—but it’s still a leap over the outgoing iPod touch. Specs are one thing, but actually seeing and feeling a difference is what it’s all about. You guys know how many times I’ve complained about the 5th generation iPod touch—how painful it is to use, how unbearably slow it is, and how much I dread any time I’m forced to use it. Throw all of that out of the window with the 6th-generation iPod touch. This thing is very fast, and handled nearly everything I threw at it with ease. Browsing the web is smooth, playing intense modern games is no problem, and multitasking is so much better than it was before. As I’ve stated several times before, this is a major upgrade, and it absolutely feels like one while using it. 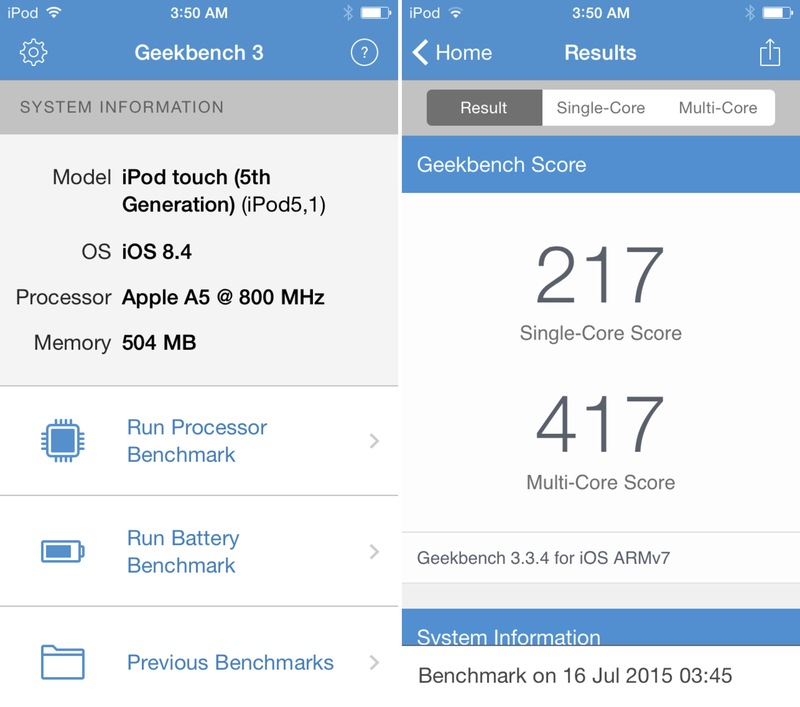 For the following benchmark tests, I used Geekbench to calculate single core and multicore performance for the iPod touch 5th gen, 6th gen, and the iPhone 6 Plus. 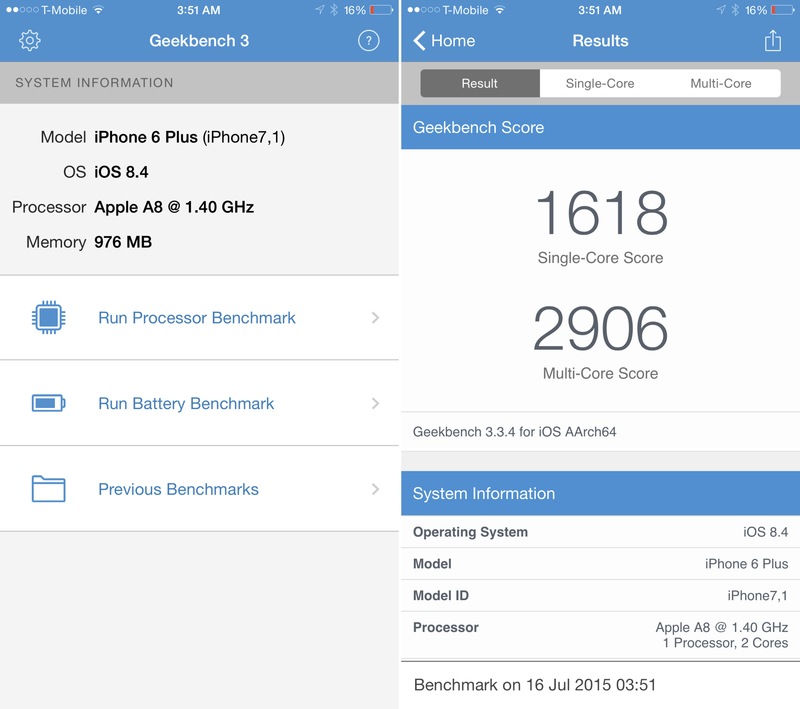 Note how, even though both the iPod touch 5th-gen and the iPhone 6/6 Plus share the A8 SoC, the iPhone 6 is clocked higher. It’s safe to say that the new iPod touch runs circles around the old iPod touch. It’s faster in every way, because it has a current-generation processor, more RAM, and a better camera. Games load way faster and feature more consistent frame-rates with the 6th-gen iPod touch. 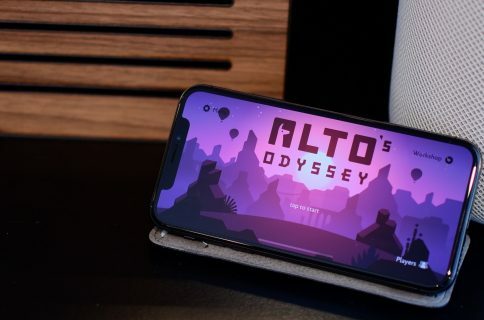 Since the A8 chip is compatible with Metal, developers can enhance their games to feature better graphics. 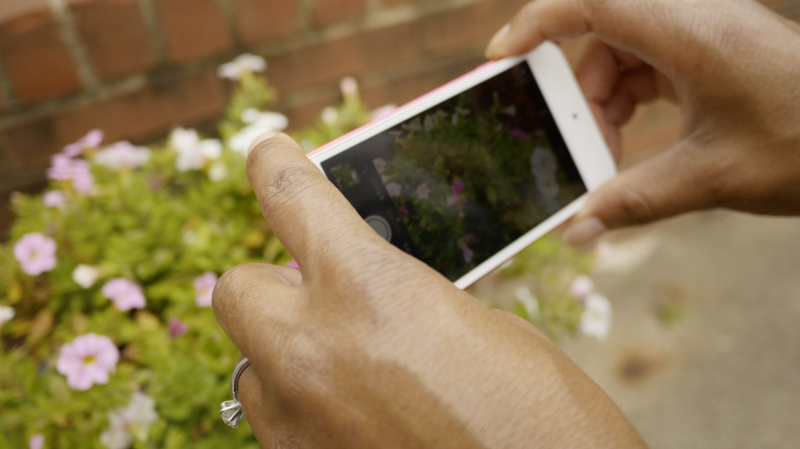 The camera now features the iPhone 5s’ flagship Slow-mo mode (120fps) and it also works with burst mode. 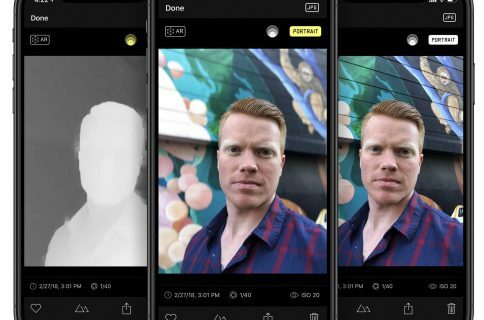 The camera doesn’t feature all of the advanced features of the iPhone 6 and 6 Plus, so it’s still not quite up to that level yet, but it’s unquestionably better than the 5-megapixel shooter it replaces. Virtually everything else about the 6th generation iPod touch is really similar to the 5th-gen iPod touch. The form factor is exactly the same, down to virtually every detail. As mentioned, the new iPod does eschew the silly iPod loop nub, but that’s the only visual difference you’ll discern. Although the 6th generation iPod touch is leaps and bounds better than the previous model, it still has plenty of opportunities for improvement. First and foremost, I wish that Apple would have adopted the iPhone 6’s 4.7″ screen. After using an iPhone 6 Plus for the past year, the 4″ form-factor feels downright minuscule. Outside of the size of the screen, the quality of the screen is still well below the screen quality found on the iPhone line. It’s an IPS display, but colors often look washed out. I’m pretty sure that a lot of that has to do with the 800:1 contrast ratio. 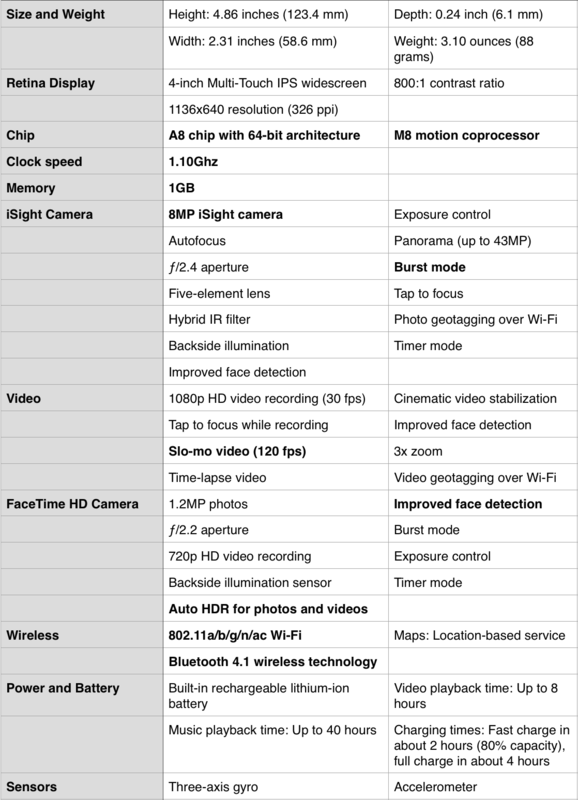 The iPhone 6 Plus and the iPhone 6 feature contrast ratios of 1400:1 and 1300:1 respectively. For whatever reason, Apple declined to add Touch ID to this device. I didn’t think I would miss Touch ID on an iPod, but I found myself trying to use it out of habit. Touch ID is so convenient, I don’t like the idea of always having to use a passcode to unlock my device and make purchases. Lastly, while the iPod touch 6th generation features a current CPU, it’s under-clocked when compared to the A8 processors in the iPod lineup. 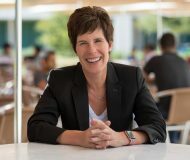 This is evident, as processor intensive games will suffer from the occasional frame-rate dip, and the Geekbench benchmarks make it readily apparent that there’s still a fairly significant gap between this device and the iPhone. 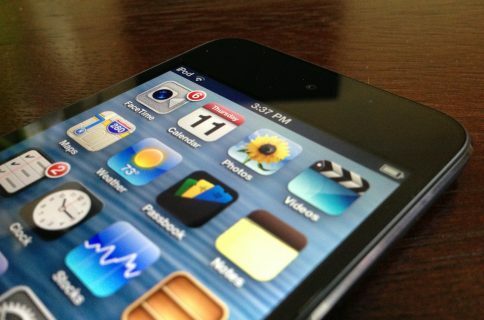 If you’ve never owned an iOS device before, the iPod touch is the perfect entry-level device. Not only is it cheap, but it’s got enough under the hood to last several years. If you’re a gamer, the iPod touch is a compelling handheld game console. With the adoption of the A8 SoC and Metal, it’s able to handle all of the latest envelop-pushing games with ease. If you’re a young person who can’t get their hands on an iPhone, then the iPod touch 6th generation is certainly nothing to be ashamed of. Not only can it do games, but it can run all of the popular iOS apps like Facebook, Snapchat, Whatsapp, Periscope, and more. Lastly, if you need a second test device, and don’t want to drop the money it takes to acquire a second iPhone, the iPod is a viable alternative. The 5th generation iPod touch is still being supported under Apple’s Developer program, and it’s likely that this device will be supported for years to come. The iPod touch 6th generation is not without its flaws, but at its price-point, it’s good enough. It’s miles ahead of the previous version from a performance perspective, and has enough new features to be deemed a worthy upgrade. What do you think? 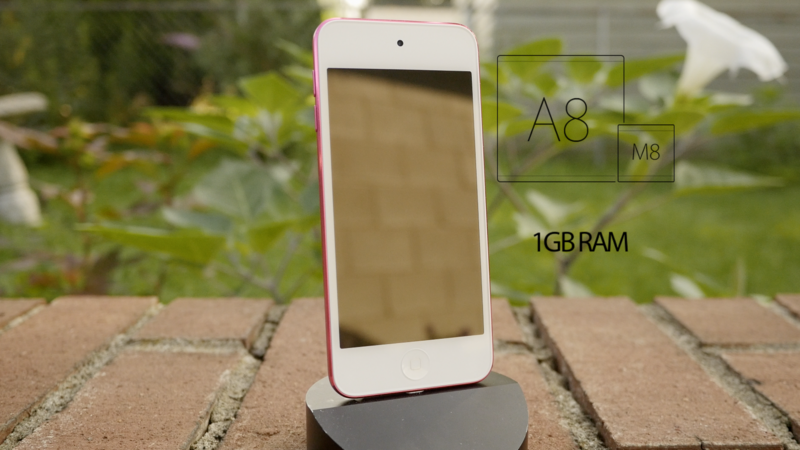 Would you consider buying an iPod touch 6th generation?